These moccasins are made by Native American artisans from the Huron Nation on the reservation near Quebec City in Canada. They are double-soled and very comfortable. 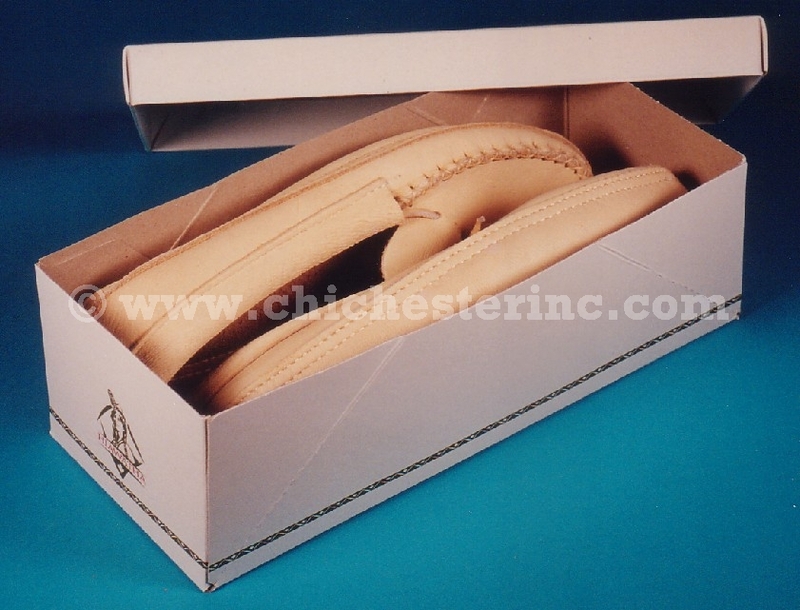 The adult moose hide moccasins have a padded insole and come in a nicely decorated shoebox. Moccasins come in Ladies' sizes 4-10 and Men's sizes 6-15. Moccasins come in full sizes only. If you wear a half size, order the next size down as the leather will stretch over time. Also, the moccasins tend to fit a little bit big. We stock this item and usually have all sizes in stock and ready to ship. 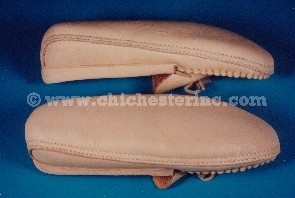 We have another style of moosehide moccasins that have no foam liner in the sole. The soles are not padded so that your feet can better feel the surface of the floor. 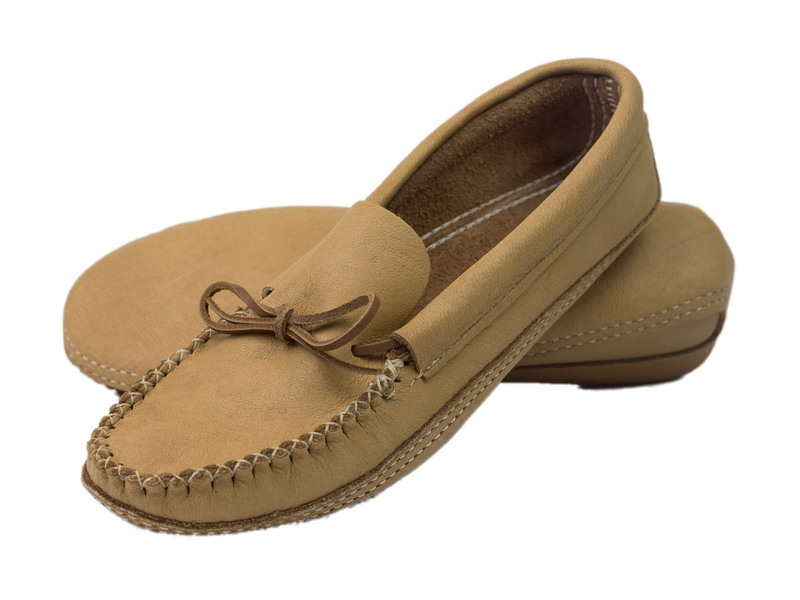 They come in a darker maple color and are a different color from the regular moosehide moccasins listed above. Sizes are limited right now. We do not stock this item so please allow two to three weeks for delivery. Click on any of the five pictures in this section for an enlargement. We want you to be able to see exactly what you will be getting. These are popular sellers, and we have had many satisfied customers. If you have any questions, please call us at 1.800.206.6544 or send us an email. 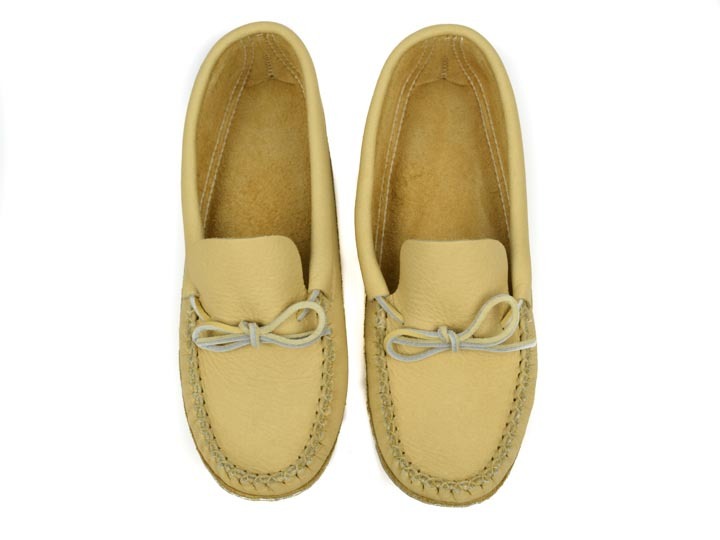 These moccasins are designed for indoor use and are not designed to get wet. If you want an added degree of protection, you can use Scotchguard on them. Do not use a wet cleaning method unless they have been Scotchguarded first.